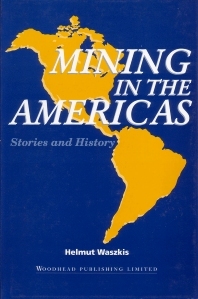 Twenty years of work went into the writing of this: the first book to cover the history of mines and mining in North and South America. The text is enlivened by sketches of many miners the author got to know over the decades. Pre-Colombian origins; Early Spanish endeavours; Mexico; Central America; South of the Spanish Main; Peru; Bolivia; In praise of horses, llamas, camels – but mostly mules; Chile; In praise of railroads; Paraguay; Brazil; Canada; The United States; A few loose ends.